The Ml Abrams has proved itself to be the finest main battle tank in the World since its introduction into US Army service in 1981. It combines the ultimate balance between firepower, mobility and protection as demonstrated by its superior performance during the two Gulf Wars and in Afghanistan. 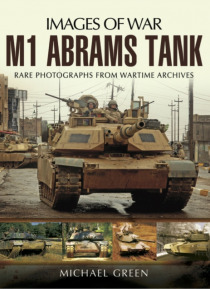 It routed the Soviet equipment of Saddam Hussein's army and today remains the yardstick by which frien… ds' and foes' MBTs are judged.Its versatility and continual modernisation of weaponry armour and engineering guarantees that the MI Abrams will remain the US Army's spearpoint for years to come.Expert author Michael Green has produced a comprehensive collection of images and highly informed text.